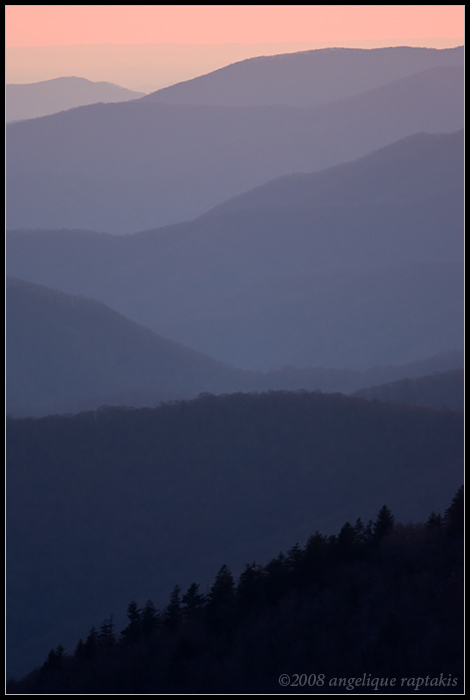 Beautiful view of the Smokies. V! Wonderful capture of a beautiful scenery! Lovely layers in this image. I especially like the variation in colors. All the subtle shade changes in this image are amazing. And I agree with Janet - the mood is just wonderful - I want to sit there in that spot and forget all my worries. Beautiful gradient of colour! Fantastic mood - very calming!